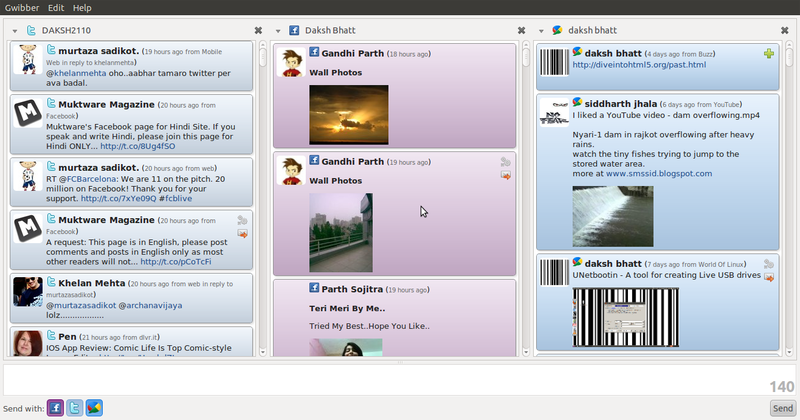 Gwibber is a social client for Ubuntu. 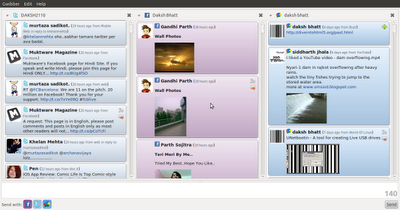 It provide multistream for all your social network. Gwibber automatically checks your spelling and shorten the entered URL. It support many services like Facebook, Twitter, Buzz, Digg, Flickr, Identi.ca, StatusNet, FriendFeed etc. You can install Gwibber by hitting this command on terminal in Ubuntu. Here from this video, you can understand how to authorized your Facebook, Buzz, Twitter etc account. And how to set more than one stream for all your social network, hence you can simultaneously show your friends updates and share your own status to all.